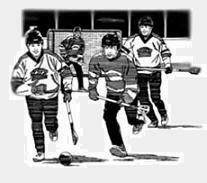 Help Midwest Broomball offer you the best and lowest price. If you find a lower in stock domestic price, bundle, package or a Better Best Price Guarantee on Acacia®, D-Gel®, Forest Ice®, STX®, or Blue Ox® brand products, we'll match it plus take an additonal 50% off the difference. If the form is not working, email us your name, email, product and U.S. competitor website. You will receive your coupon within one business day. If you would like to save some time, please place your order and notify us of the price match + 50% off request. We will apply the discount before your order is billed. Note: Please keep in mind competitor shipping costs and taxes as well for a fair comparison.